Need to do a little (or, a lot) of thinking outside of the Big Box on Black Friday? Good news: Help is on the way. Alternatives are here. To ease the traumas of that most taxing national retail frenzy, Erie Ale Works is bringing us a daylong celebration of everything local: Beer, grub, bands, beards and more. The Black Friday "Support Local Everything" bash is happening from noon to 10 p.m. at the Ale Works, 416 W. 12th St., and it's boasting a heaping helping of Erie-made fare including products and services from Pizza Ninja, the Bearded Woodsman's beard oils and balms, and Andrea's Massage Therapy. Along with Erie Ale Works brews and awesome local food from The Que Abides, live local music kicks off at 3 p.m. with instrumental artist Christopher A. Beiswanger and continues with Seann P. Clark's and Brenna Nicole Bone's alternative Americana at 4; acoustic singer-songwriter Jess Royer at 5; improvisational noise-rockers Johnny James & the Indeterminates at 6; the first-ever live performance by experimental dance/electronic duo XLII90 at 7:30; and DJ sets between acts and at 8:30 p.m. by electro-experimentalist onewayness. 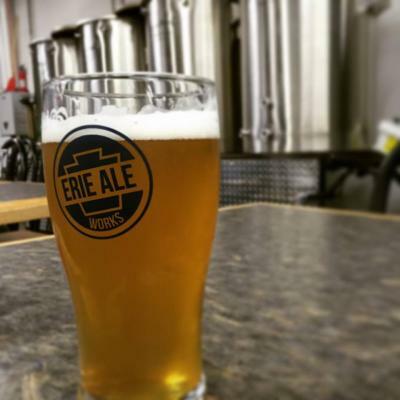 "We are very excited to do something that's localized in all aspects on Black Friday," says Erie Ale Works President Jeff McCullor. "We want to show our support to those that have given so much to us, and provide an alternative to the national retail experience that's so heavily ingrained in this day." Now that sounds alright, too. For more information, check out the main event page here.